Kansas City-style, Texas brisket and Eastern Carolina whole hog—it’s all here. Though New York City isn’t home to a particular style of barbecue, it has welcomed the likes of many giants from across the country. Kansas City-style, Texas brisket and Eastern Carolina whole hog—it’s all here. What It Is: Per their website, “The Dinosaur Bar-B-Que began life in 1983 as a mobile concession stand using a 55-gallon drum cut in half.” There are currently nine locations—New York City locals can find them throughout Brooklyn and Harlem. What to Order: As it’s Texas-style, best to get the brisket. Also of note, per our inspectors: “Minimize decision making and order the Extreme Sampler: a heaping feast of apple cider-brined smoked chicken, dry-rubbed slow-smoked pork ribs and lean Creekstone Farms brisket. Add on a creative side or two—perhaps the barbecue fried rice studded with bits of pulled pork? What It Is: Bodyguard-turned-pitmaster Bill Durney’s Red Hook haven for meats smoked over oak wood. What to Order: Meat that comes by the half-pound: choose from brisket, pulled pork, lamb belly or turkey. Also on the menu: ribs, Vietnamese hot wings, brisket tacos and thick slab pastrami bacon. What It Is: Pitmaster Tyson Ho’s 3,000-square-foot beer garden that celebrates traditional North Carolina BBQ. What to Order: Carolina whole hog is what they do best here—an entire pig is slow-smoked over embers and then pulled, chopped and seasoned with vinegar sauce. 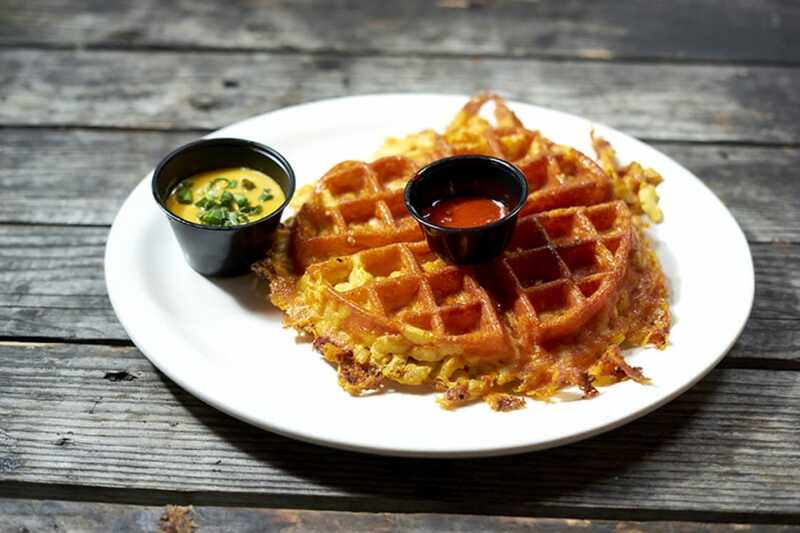 Sides include pit-smoked beans, collard greens and Kenny G’s waffle-pressed mac-n-cheese served with a side of queso. Celebrate the spring season with this French classic. Mina puts a Korean spin on his pork ribs by spiking the dry rub with gochugaru.